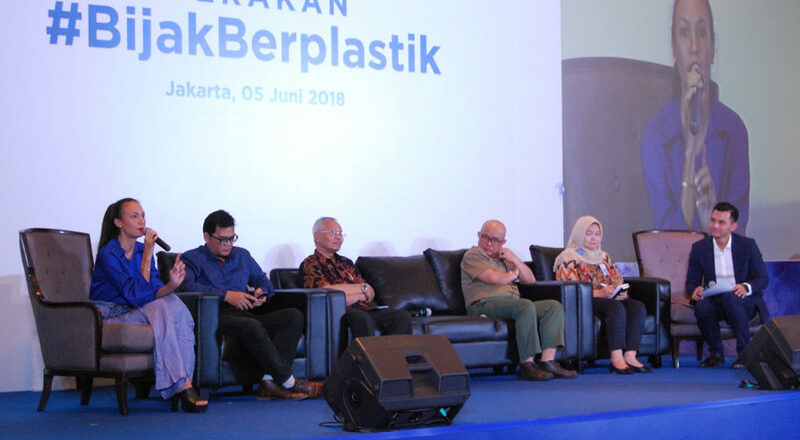 In Commemoration of Environment Day in Indonesia, Danone launched #BijakBerplastik Program, a program that referring to Indonesian Government effort to reduce 70% of plastic waste product that wasted to the sea. Launching event was held in Raffles Hotel, June 5, 2018. Although plastic has become part of communities, it also has an unwanted consequences. Since plastic use petroleum, it could become waste if it’s not recycled. Those plastics flow into the river, and eventually into the sea. As a pioneer of plastic waste collection since 1993, Danone Aqua has a responsibility to take action and tackle this issue. #BijakBerplastik movements encourage and engage Indonesian people to contribute in creating new behavior, such as the habit of waste recycling and active involvement in environment protection. Up until now, Danone serves 2/3 of water produced, using reusable gallon. In addition, half of PET Bottle that Danone use have been collected and recycled into new product, such as new bottle and textiles.